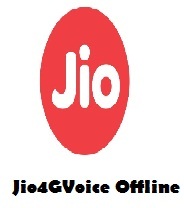 Many people have question of How to fix or solve Jio4GVoice offline problem?. If you are one of them and getting offline problem and searching for fixing of this issue. So you are just right place to find best tricks. If your JIO sim not showing on your 4G LTE / VoLTE smartphones you need to read this. In this trick you will get your sim working successfully on Jio4GVoice with online. First of all make sure your jio sim in your primary SIM in slot 1. Make sure you turned on the internet data, because without internet data Jio4Gvoice app will not working. Make sure you have set the LTE network in your android, because Jio works on LTE or VoLTE devices. If not set go on Settings > Mobile Networks > Preferred network type. 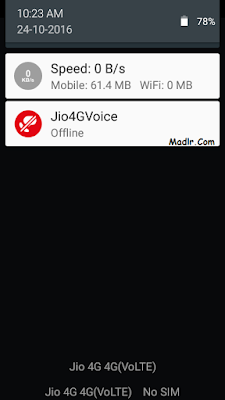 Make sure you set the APN of Jio, otherwise Jio will not connecting to internet. 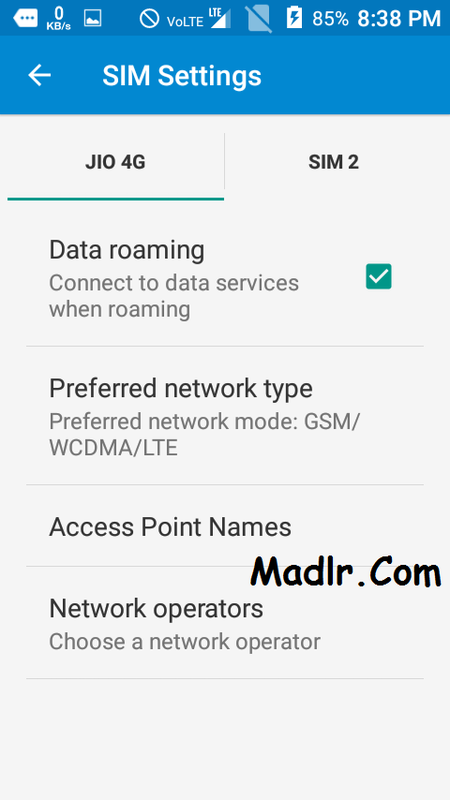 To set APN go to Settings > Mobile Networks > Access Point Names, Then choose Jio. Try choosing Jio as network automatically, Settings > Mobile Networks > Networks Operators. That's it, If still doesn't work read the other method. If your Jio Sim will not recognized try this. If your Jio sim will not works on your 4G smartphone, If your device not recognized the Jio sim then try this trick. First of all make sure you insert your sim in sim slot 1. 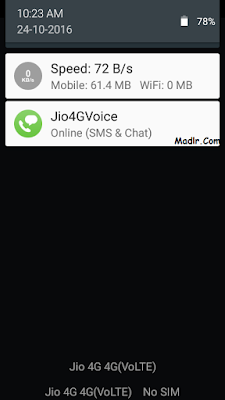 If your Jio in sim slot 1, but still doesn't show? Now remove your jio sim and insert any other sim in sim slot 1. Then turn it on, if other sim will showing then again turn off your device. Now re-again insert your jio sim in sim slot 1. Now turn on, That's it. Still doesn't show what you do now? Read the other method. 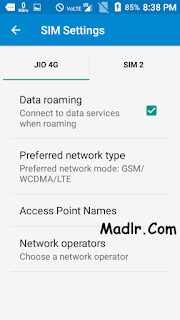 If your android phone showing Jio4G Voice offline problem and you are searching for how to fix Jio4GVoice offline problem read this trick you will get 100% your Jio 4g online without wasting time. First of all you need to disable your Mobile Data or Internet Data, if enable. Now open setting of your android device. Then Go to Mobile Networks, then find Flight Mode. After that click in Flight Mode & enable it. Now you need to go back on settings. Then go to Apps > Running Apps, Then find the Jio4G Voice app. Now go back and turn off Flight Mode. Then turn on your mobile data. 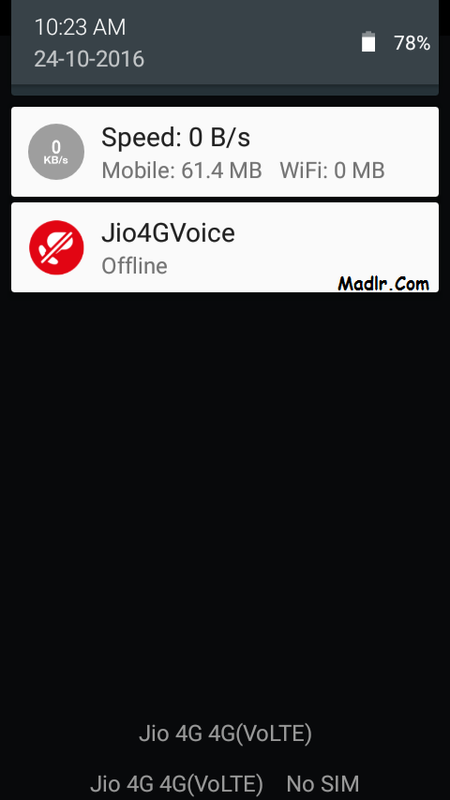 Now find Jio4GVoice app and open it, wait for 1-2 minutes your Jio 4g app will be online. If you have still any question please comment us and we will response as soon.